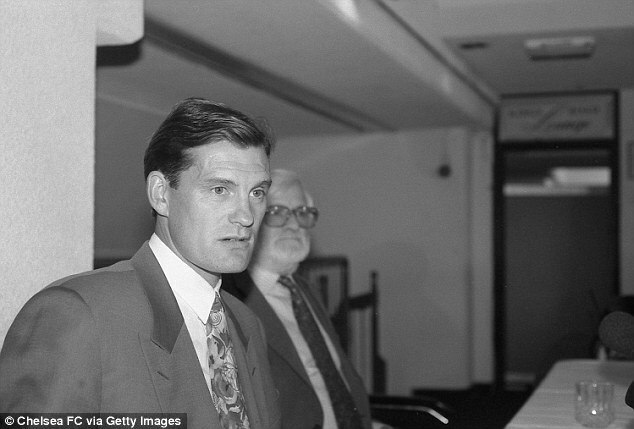 There was no sauna, medical centre or 56ft hydrotherapy pool at Chelsea’s training ground on Glenn Hoddle’s first day at work. ‘No bath either. Or gym, or canteen, or manager’s office,’ he recalls about the club’s Harlington base in 1993 long before they moved to their current deluxe HQ at Cobham. ‘The players would bring in tea and biscuits for the morning and have a sandwich at a cafe around the corner after training. I did my business on a payphone in the staff room. Things are different now. On Monday night, Chelsea meet Manchester United in the FA Cup as Premier League leaders and looking to win the Double under Antonio Conte. When they met in the 1994 FA Cup final at the end of Hoddle’s first season, Chelsea were appearing in their first final for 22 years and were light years behind Sir Alex Ferguson’s United, the dominant force in English football. It was a pivotal moment in Chelsea’s history and a forerunner to the glory years that followed, even though they lost 4-0 that afternoon. ‘We’d competed in a Wembley final against one of the best English teams seen in 20 years,’ says Hoddle. 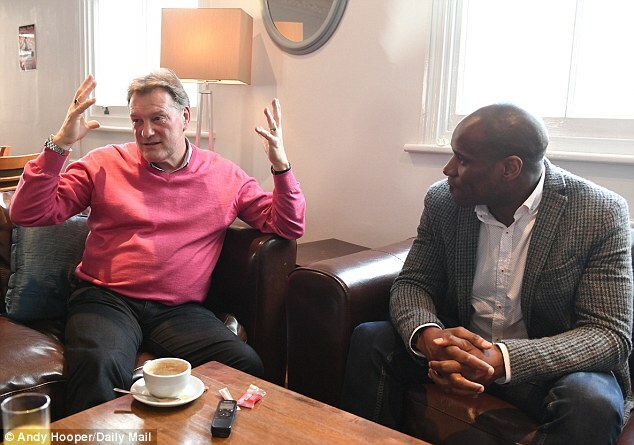 Sat alongside Hoddle as he discusses the dawn of ‘new’ Chelsea is Frank Sinclair, left-back that afternoon at Wembley and a Chelsea first-teamer for eight years between 1990 and 1998. ‘My Chelsea managers before Glenn were Bobby Campbell, Ian Porterfield and David Webb. There was no philosophy in the way we played. 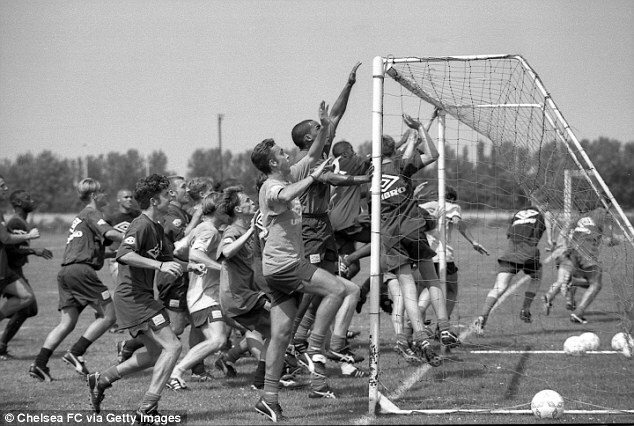 We’d do five-a-sides in training to keep us fit but tactically and technically we were left to our own devices,’ he recalls. ‘As long as we played with pride and passion, everyone was happy. If I booted the ball into row Z, my job was done. It wasn’t until Glenn came that we had a structure and played in a certain way. We were asked to be in a position to receive the ball, then look to use the ball properly. 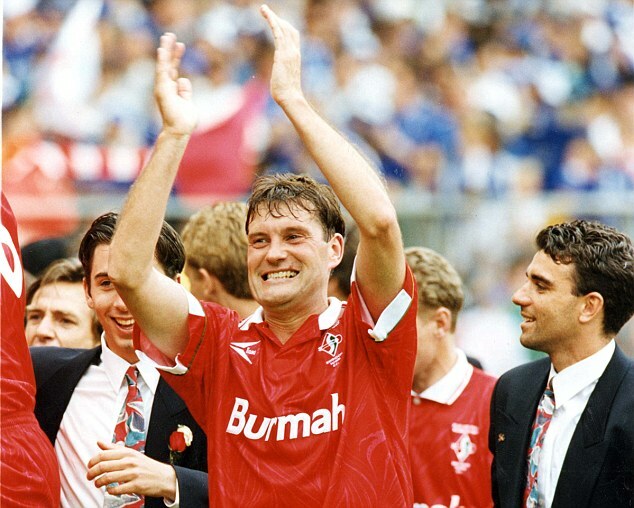 Hoddle had been appointed on the back of taking Swindon into the Premier League with a new system for the English game that involved wing-backs. Not that Chelsea had better facilities than he had encountered in Wiltshire, far from it. 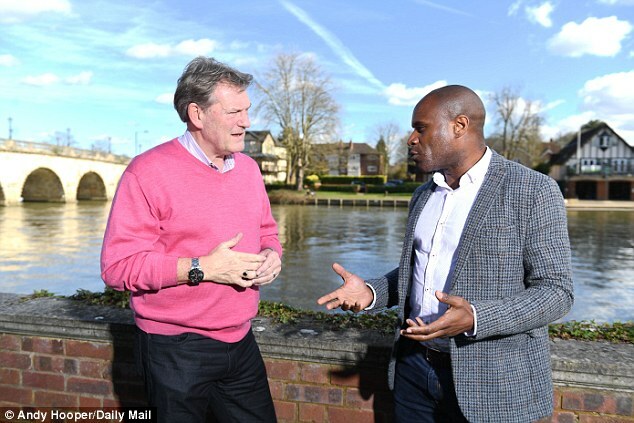 A vexed Hoddle took the gamble of telling chairman Bates that he needed to invest to make the club more professional. 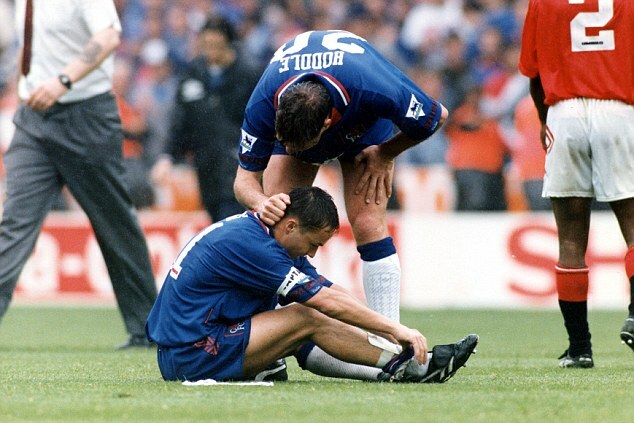 Hoddle’s other gamble was making feisty Dennis Wise captain to replace the departed Townsend. Glenn Hoddle’s Chelsea underdogs matched Manchester United blow for blow in the first half, but were torn apart in the second. 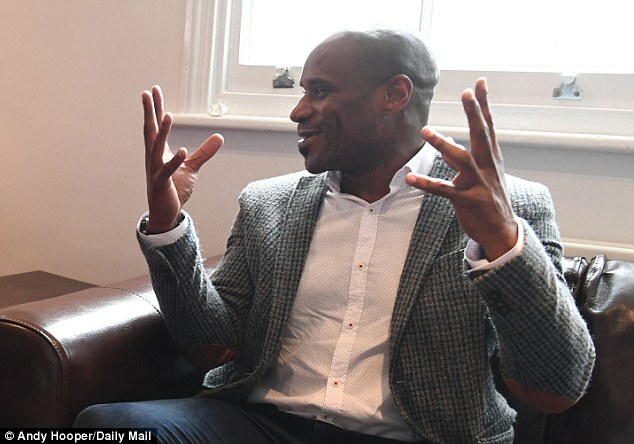 Two penalties — the second a clash between Frank Sinclair and Andrei Kanchelskis which referee David Elleray later admitted he shouldn’t have given — were coolly converted by Eric Cantona. Hoddle came on to inspire a late Chelsea flourish, but Mark Hughes and Brian McClair both scored to ensure United sealed the double. Chelsea: Kharine, Clarke, Johnsen, Kjeldbjerg, Sinclair, Burley (Hoddle 68), Newton, Peacock, Wise, Spencer, Stein (Cascarino 78). Manchester United: Schmeichel, Parker, Bruce, Pallister, Irwin (Sharpe 84), Kanchelskis (McClair 84), Ince, Keane, Giggs, Hughes, Cantona. ‘I wouldn’t have looked at Wisey as a captain but it was a great call,’ says Sinclair. ‘He still had that edge to his game but it calmed him down. The Premier League was a different place then. Most overseas players were Scandinavians signed for their physicality and familiarity with cold climates. The only ‘foreign’ manager was Ossie Ardiles at Spurs and he had lived in England for 15 years. Wages were simply unrecognisable. First-team players would earn £2,000 a week, a fraction of the money Chelsea reserves would be on today. 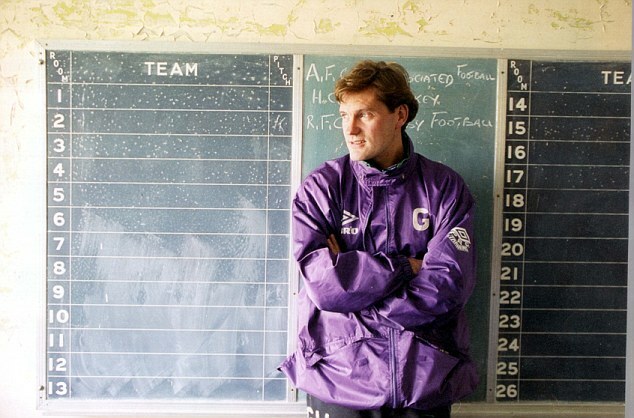 Chelsea’s early results were not great as Hoddle tried to drag them into the 20th century. A 3-1 defeat at Southampton on December 27 left them second from bottom. ‘Coming out of The Dell, I got almighty stick from the Chelsea fans, telling me to p*** off. 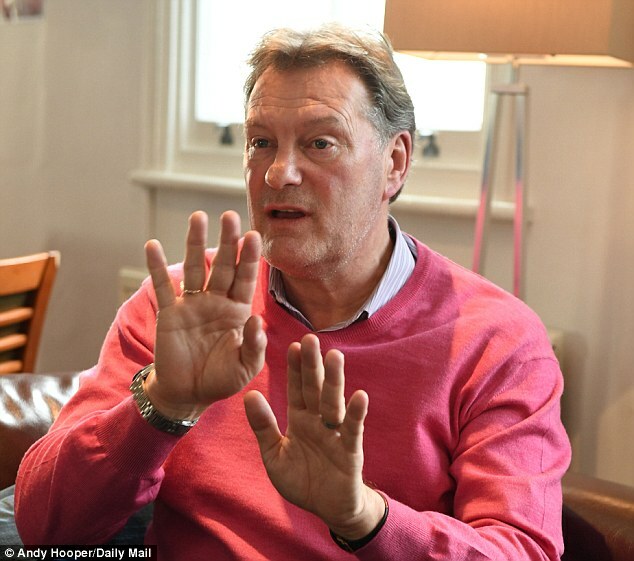 It was tough,’ says Hoddle. ‘Matthew Harding [a wealthy club benefactor] jumped on the coach afterwards to keep everyone’s chin up. And he laid into these Chelsea fans, telling them to ‘get off my back’. United were the barometer for every team at the time. Under Ferguson they boasted pace and flair with players such as Ryan Giggs and Eric Cantona and plenty of bite from Paul Ince and Mark Hughes. Chelsea beat the champions 1-0 home and away in the league but the cup final was a different story in their biggest match since the Peter Osgood era of the Swinging Sixties and early Seventies. Even so, Chelsea had the better of a goalless first half when Gavin Peacock hit the bar. ‘At one point, Paul Ince and Roy Keane tore strips out of each other as they couldn’t get to grips with us. Eddie Newton winked at me and said “We’ve got them here”,’ says Sinclair. Alas for Chelsea, two Cantona penalties gave United the upper-hand in the second half. The first, Newton on Denis Irwin, looked stonewall but Sinclair was unlucky when Andrei Kanchelskis threw himself to the ground theatrically on the edge of the box. Late goals from Hughes and Brian McClair gave the scoreline a distorted look but it proved just the beginning for Chelsea. They reached the semi-finals of the Cup-Winners’ Cup, prompting Dutch star Ruud Gullit to sign in the summer of 1995, followed by more big names such as Gianluca Vialli, Gianfranco Zola, Marcel Desailly and Roberto di Matteo. By the time John Terry and Frank Lampard emerged, Chelsea were able to push for the top four and were big enough for Roman Abramovich to buy and start his unprecedented spending. 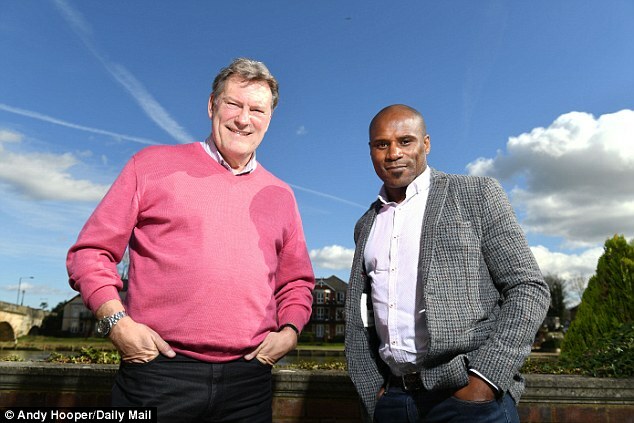 Hoddle felt the Gullit deal was important. ‘It was surprisingly easy, the only problem was he wanted to check out the training ground first,’ he says with a smile. ‘I had to pretend it was under summer renovation and he’d need to wear a hard hat, so I suggested we go for lunch down the King’s Road instead. 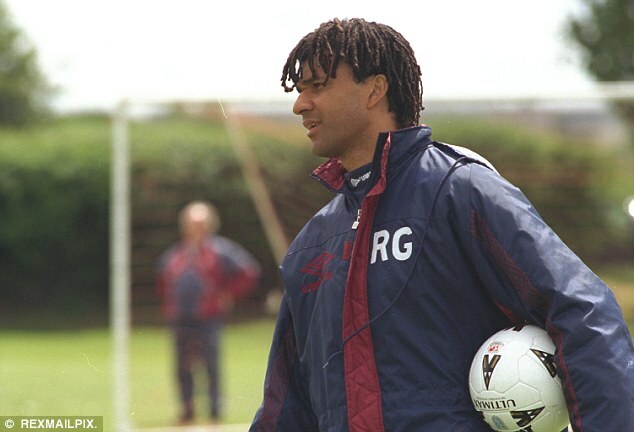 Gullit, who will be a BBC pundit for Monday’s cup tie, says today’s Chelsea are unrecognisable from the club he joined. ‘They are one of the biggest clubs in the world now with a new stadium planned. At the time we were only trying to get better, not thinking about winning the Champions League. ‘Friends of mine couldn’t believe I’d joined them. They called the club to check when they read it on Teletext. I’d had eight years in Italy which were fantastic but gave you no privacy. There, footballers are followed everywhere, people want to touch you, get your autograph. Sinclair stayed at Stamford Bridge long enough to win the European Cup-Winners’ Cup and today Chelsea are United’s equals or even superiors, at least on the pitch if not in turnover. Boss Antonio Conte has been a breath of fresh air and Hoddle hopes he will stay longer than others have. ‘The people at the top have to leave him alone. It’s no good if he loses a couple of games and he’s put under pressure or there is interference,’ says Hoddle. ‘If they allow him to run the team and strengthen at the right times, as Sir Alex Ferguson did at United, they will have him for five very successful years. Chelsea dine today at the top table. Everyone expected United to beat them in 1994. They will be surprised if they beat Conte’s men this time.